When it comes to my Thanksgiving Day, my family visits at least three houses. And each house has at least 20-50 people chowing down on turkey and pumpkin pie. 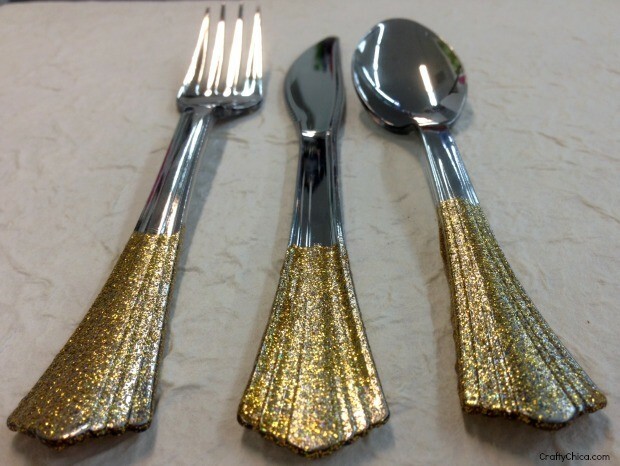 Real silverware is out of the question! 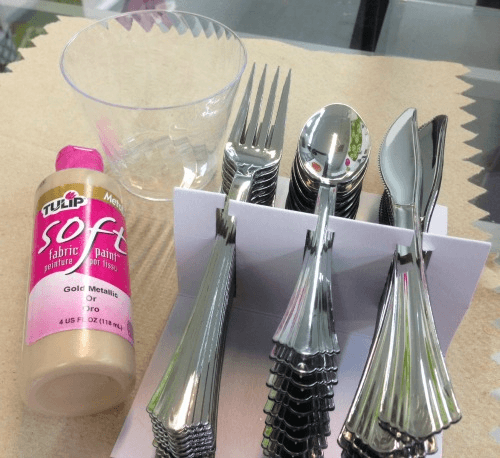 But here is a way to still look classy with all those peeps to serve – pick up a set of plastic silver flatware and dip them in Tulip Soft Paint! 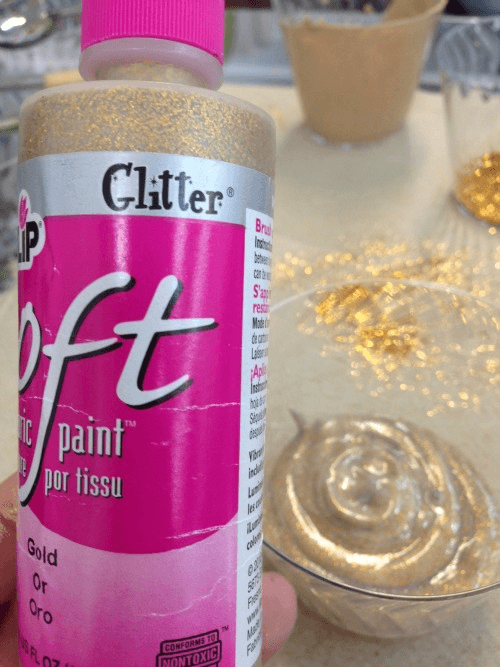 I bet you’re wondering how the “glitter will work? 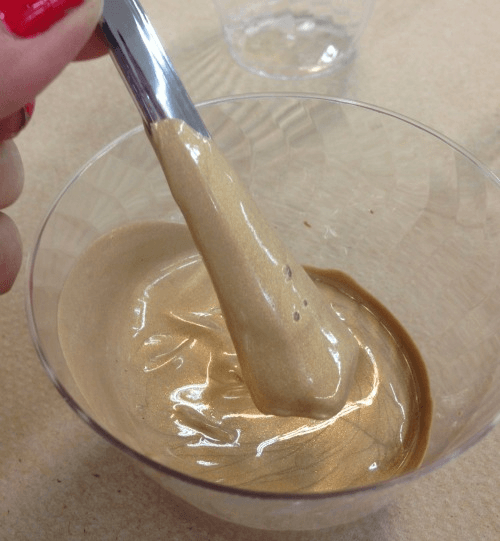 I have some secret methods for you to seal in every flake! Empty paint into a cup. 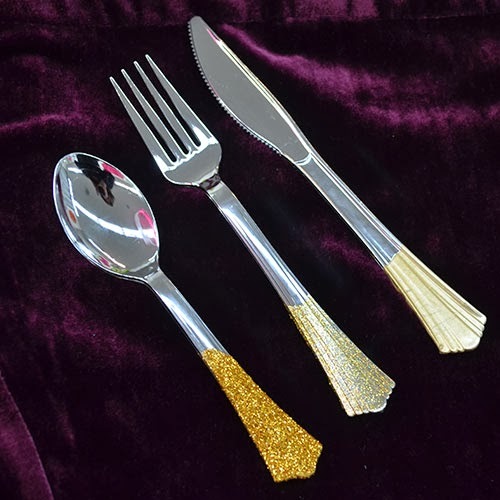 Add glitter over the wet paint BUT don’t forget to let dry, then dip in a cup of Collage Pauge to seal the glitter so it won’t flake, same with the other pieces. 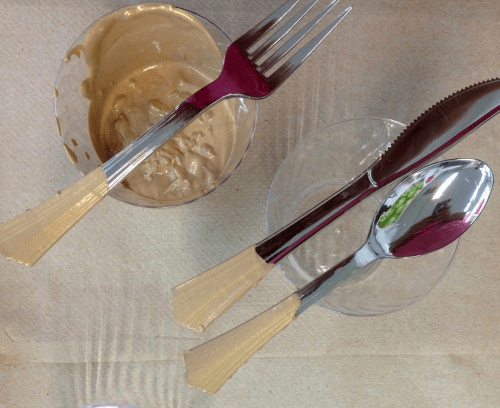 The sealer will make it smooth, shiny, and non-sticky. Set on top of the cups to air dry. 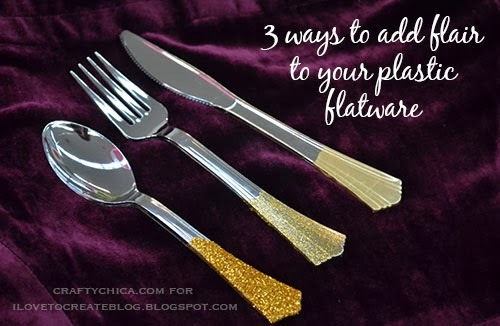 And there you go – super stylish plastic flatware that doesn’t take long to make! – Coat the bottoms a different color. – Dip in one color, let dry, then dip in another. – Use a variety of colors for a festive look! – Don’t forget to seal so the paint won’t be sticky.